A perinatal stroke is a brain injury that can occur any time during the nine months of pregnancy or shortly after birth. When this happened to our son Mario, the prognosis was that he might never be able to control the left side of his body. While we thought we were prepared for life with a newborn, we were not ready for this. Like many parents of children born with needs outside of “normal” we found no owner’s manual that answered the millions of questions we had, or advice on what to do next. My wife Francesca and I scrambled to adjust. In the absence of an owner’s manual we began exploring any and all options. We started physiotherapy, we started rehabilitation, and we even started down a new path called the Mirror Neurons Pilot. At night and in between rehab sessions we researched in order to create a long term plan for Mario. What we discovered was more random and complex than we imagined. We were frustrated by the lack of integrated knowledge and by the passive role that 40 years of traditional therapy had presented to parents. We learned that early intervention is the key to gaining ground with kids like Mario and we became stressed by the precious time lost without properly stimulating his brain plasticity. Observing his lack of engagement during traditional therapy appointments only added to our anxiety. The more we researched the more we found that “everyone” had their own reasons to avoid the management and treatment of messy brain damage. For investors, 3.5 million kids are not a profitable market; for scientists the brain of a kid is by far more complicated than the brain of an adult, (that by itself is one of the most complex things in the universe); for the pharma industry these kids could have remained impaired all life long, they’re not taking any kind of pills for their health status. Everyone had an excuse for not doing more. In the end, we supposed it’s because it’s not their child. One of the paths we pursued was the Mirror Neurons Pilot, which involved us lying next to Mario and literally showing him how we grab an object. The theory of mirror neurons simply says that watching someone else slowly grab an object (with a purpose) will activate the exact same neurons in Mario’s brain as if he were performing the action himself. One day we found that Mario was not looking at our hands. He was looking at our faces. We were his mirror. In our faces he saw that we were sad, we were depressed, and we were looking at him as a problem, not as our son in the positive light. That moment really changed our perspective. We realized that we had to become a better mirror for Mario. We started by considering the strengths of all three of us. We stopped focusing on what he lacked and started to look at him as an opportunity for improvement. This was a powerful transformative change. We asked “What are our strengths that we really can bring to Mario?” We started from our passions. We loved to travel and we began to bring Mario along with us to show to him the best things that we could experience together, reflecting the wonderful mirrors of the good world and people around us. In 2014 my wife and I founded Fight The Stroke, a nonprofit advocating for young stroke survivors. It’s now one of the largest communities of parents like us (we call them “fighters”). Since then we’ve kept on raising awareness by engaging scientists, doctors, and caregivers. We’ve continued to seed the dream for a more inclusive world for our children; one that leverages their strengths rather than emphasizing their weaknesses. We believe these kids have unrealized potential and that they deserve a better life. Thanks to inspiring doctors and neuroscientists we went deep on the power of mirror neurons and envisioned a new model for teaching motor skills that stimulates brain plasticity. We dreamed of creating a platform where kids were at the center and technology helps empathic parents and doctors cooperate around them. We started to collaborate with Prof. Rizzolatti, the scientist who discovered mirror neurons (at that time he had just won the Brain Prize) and met with brain research experts from all around the world. 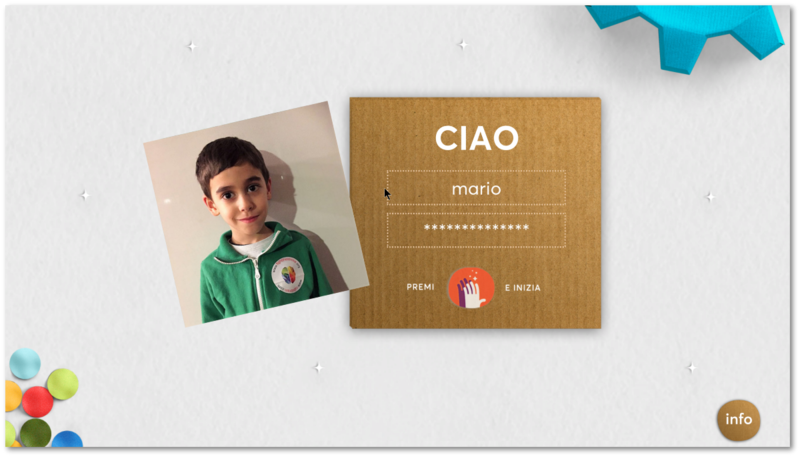 Even with this progress, in 2014 it was still just an idea promoted by two Italian parents in need. In February 2015 a chance meeting changed my perspective again. He was aware of what we were trying to achieve and this gave me confidence. He made it clear that I needed to stop living in the past and shift to embrace the current challenge (and grow with it). He connected me to an amazing group of people inside of Microsoft that I am proud and grateful to be able to work with: the accessibility team (led by Jenny Lay-Flurrie) and the inclusive design team (currently led by Tim Allen). Their perspectives on inclusive design and how technology could help us with the challenges faced by our family, our non-profit, and our growing social enterprise both inspired me and renewed my confidence in our vision. To transform ourselves into a change-makers and to create a platform that reshapes the problem of a few into an opportunity for many. 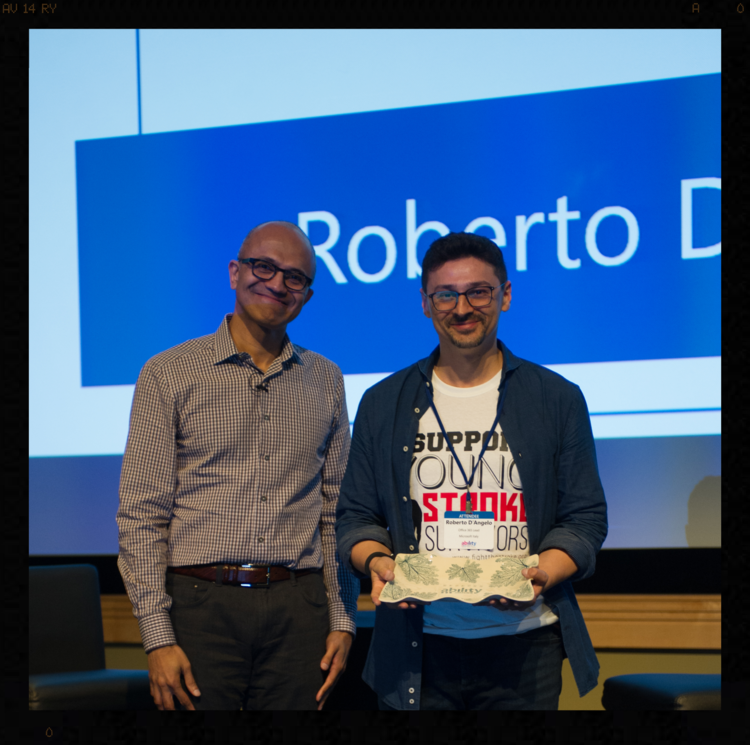 2015 Microsoft Ability Award for Community Service. With Mircosoft CEO Satya Nadella. A few months later I was in Redmond again for the first Ability Hackathon and this time, magically, Satya gave us an award for community service; we had no more excuses, we had to fully empower ourselves and do more! In the fall of 2016 I took 9 months of sabbatical to support my son’s development in an important pre-school year and to contribute to the amazing work my wife already started in the development of Mirrorable, the first rehabilitation platform that uses technology and toolkits to promote learning while observing. 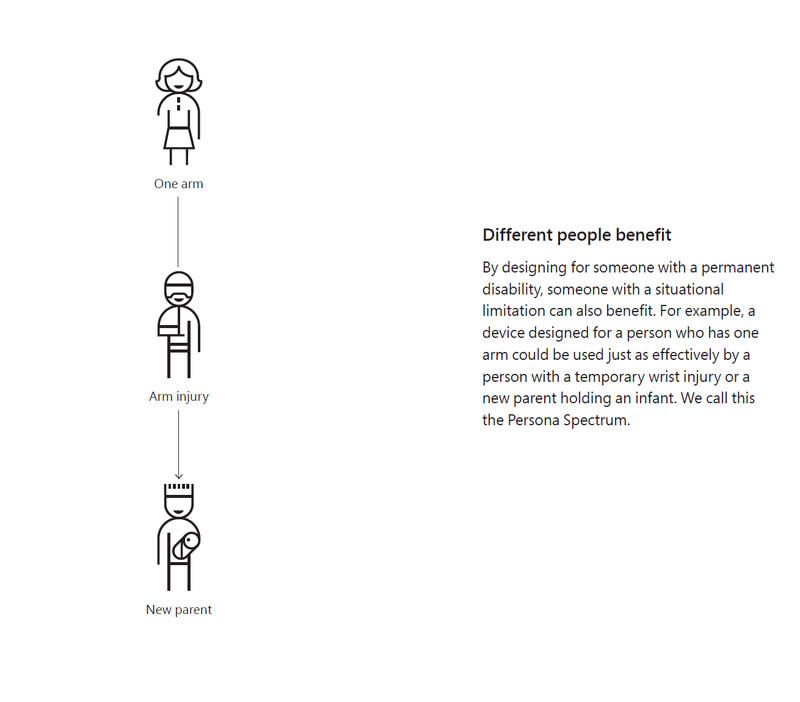 We started Mirrorable working with an inclusive design approach and a team of experts from healthcare and design. Inclusive design allowed us consider the edge where Mario was and to place him (and his caregivers) squarely in the center of a human-centric design effort. We like to say that Mirrorable was designed by kids for kids like them and their families. Inclusive design for the edges can also benefit the middle. We believe that in order to have larger impact our nonprofit need evolve into a social enterprise where what works for young stroke survivors also works for neuro-typical kids. For example, in a young stroke survivor’s case it’s related to learning movements and become more autonomous, in “neuro-typical” (albeit temporarily disabled) kid’s lives it can help them to learn a new sport or art. 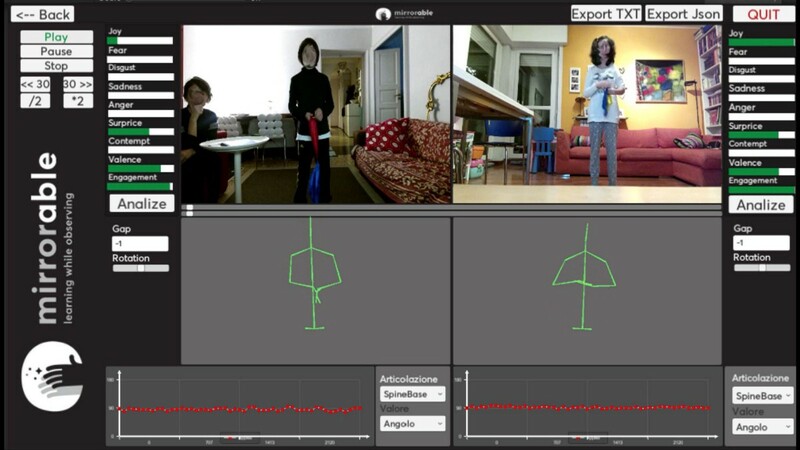 Mirrorable’s features are evolving, utilizing everything from Kinect as a magic lens that analyzes kid’s movements and expands their world to an augmented reality where they feel magical, to AI for integrating real-time emotion analysis that promotes engagement and reduces friction, even an integrated video conferencing for families, caregivers, and doctors—all connected by an AI-based matching platform. In December 2016, we delivered the first Mirrorable toolkit to the first two pilot families and since then 50 more have asked to be enrolled. We continue to serve as many as we can, and we’re expecting to evaluate pilot results at the end of 2017. The initial feedback has been very encouraging. Mirrorable’s development was done by a diverse and virtual team of people located in Italy, Switzerland, the U.S. and New Zealand, able to work across time zones with passionate and relentlessness effort. Additionally, Frog Design, KPMG, Vodafone, Microsoft and many others have been supportive contributors. It’s a huge effort driven by our mission to help as many kids and families as possible. Mirrorable kid’s UI is nothing but essentials while the doctor’s inteface has data from cinematics, emotion tracking, compliance, etc. It’s been wonderful for me to see technology, design, science, and passion come together to positively impact people’s lives. Currently we’re moving ahead with our social enterprise that will convert our discoveries for a few into a platform for all. In retrospect, what seemed to be the hardest part of our path was in some ways the easiest. 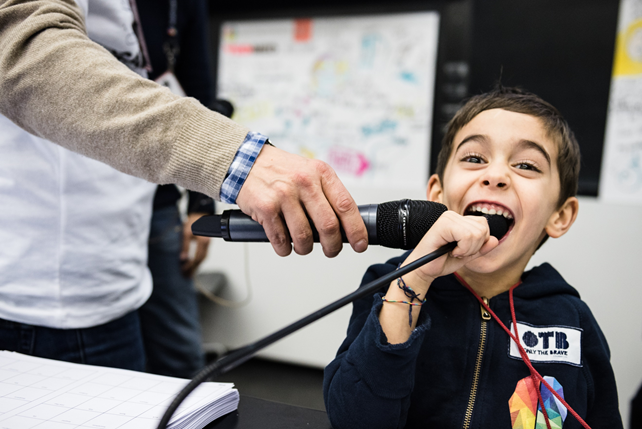 Now comes the truly hard part: to create a more inclusive society where not having complete motor skills can be a characteristic without stigma, like having red hair or being left handed within a rich and diverse community. Thanks to Mario, our inspirationnal design lead! Thank you for reading. We are always “calling 4 brain” so any input or feedback would have an impact!